People are interacting with software from the moment they wake up (hearing an alarm on a smartphone) to the time they relax in the evening (reading or shopping online). And in between, software affects virtually every work function in some way, whether in the executive suite or on the shipping dock. For that reason, software is far more than a strategic asset; it’s an operational necessity one that involves major investment and management oversight. 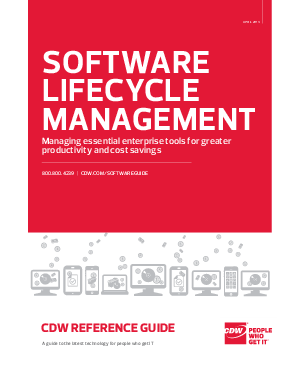 This reference guide will cover the full gamut of software, from end user to enterprise utility applications. It also will look at how to manage software, both as a technological asset and as a financial entity tied to specific licensingpolicies. But first, it’s essential to examine some key trends aff ecting enterprise software use today.